The Council has an Education Officer who regularly carries out engagement work within schools and youth groups and supports the ECO schools programme. Inspiring and engaging local communities � Support and endorse national clean up days.� Working group to bring together local councils, campaigners and behavioural experts to explore barriers for residents to get involved. Maidstone organises and promotes two clean up days per year, in March and October.� The Council also supports volunteers through the provision of litter-picking equipment, collection of waste and insurance.� An annual �Thank you� lunch is also provided to all volunteers. The Council has made an expression of interest for �10k funding (maximum allowed) for an innovative litter campaign.� This has been accepted and a full application is now being made. The Council, as part of the Kent Resource Partnership supports the work to consider a national deposit or reward/return scheme and have contributed to this discussion.� The Chewing Gum Campaign was delivered in Maidstone and the Environmental Improvement Team will continue to deliver such campaigns funded through industry. The Kent Resource Partnership responded to the consultation document including the views of all Kent authorities.� This supported the increase of fixed penalty notices for littering. This would be a positive step forward to particularly tackle littering at major road junctions and on rural roads, where enforcement has been typically difficult to achieve.� The Council would look to use the new Street Scene Enforcement Officers to undertake enforcement of littering from cars. Improved guidance for proportionate and appropriate enforcement action � robust guidance to ensure enforcement action is used when it is in the public interest to do so and FPNs are not used to generate income.� Support Councils to use Community Protection Notice powers to change anti-social behaviour. The introduction of a new on-street enforcement team is designed to ensure enforcement action taken is proportionate and in the public interest.� The initiative has not been designed to generate income for the Council and will have a revenue cost. Increase awareness of the range of sanctions � publicise enforcement activity more effectively.� Work with magistrates to increase knowledge of the sanctions.� Work with Community Payback to encourage use of litter-picking as sanction. There is ongoing work in this area as although publicity is generated regarding action taken, this rarely results in press coverage.� Use of the Council�s website and Borough Insight magazine to demonstrate the Council approach to enforcement will be increased. Roadside Litter � working group to consider the barriers and how to overcome them to carry out increase cleaning of road network.� Highways England launched litter strategy in 2014 and plan to build upon this to support national campaigns, improve signage and more effective partnership working.� Understanding H&S constraints and developing WISH 24 guidance. The Council works with Kent County Council to carry out the cleansing of high speed roads safely.� Liaison with Highways England has also improved over the past year following work by the Kent Resource Partnership to build a stronger working relationship. Highways England litter hotspots � identified 25 priority litter hotspots on the strategic network and will ensure a lasting improvement in cleanliness in those areas.� Working to update code of practice on litter and refuse to hold land managers to account and to clarify standards. The Council already works with Highways England to support the cleansing of the strategic road network including collaborative work to remove fly tipping. The Council launched �Mobile Worker� a couple of years ago which enables reports to instantly be sent from residents to the frontline without the need for unnecessary administration which slows the response.� This also enables residents to review action taken and to see if issues have already been reported.� From a management perspective, the system also enables monitoring of hotspots and easy interrogation of data. 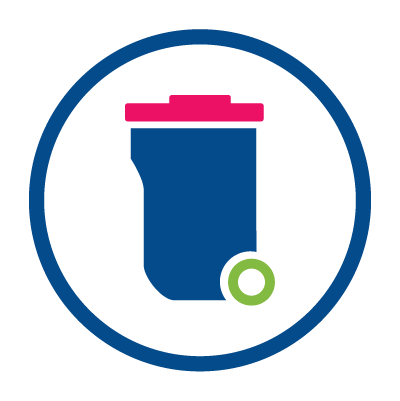 Guidance on �binfrastructure� � provide guidance to Councils on the design, number and location of litter bins and street furniture based on best practice from across the Country. Within Maidstone Borough there are a high number of litter bins, which are all located based on evidence of littering and cleansing standards.� A national guidance document would be welcomed to ensure our provision is in line with national standards. Through the Kent Resource Partnership, Maidstone has worked with a number of industries responsible for packaging including Alupro, Marks and Spencer, Sainsburys and McDonalds to deliver campaigns and consult on packaging and labelling.